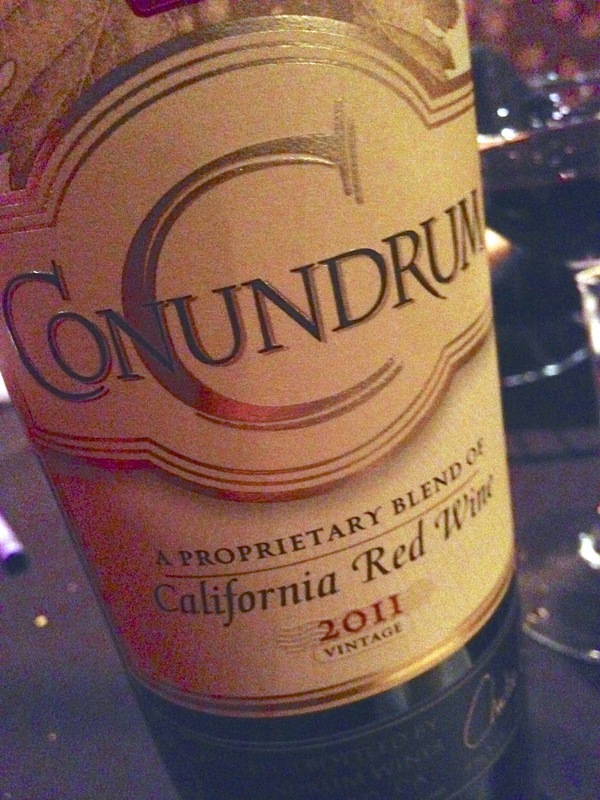 Conundrum is a “proprietary” red blend, meaning that the grape varieties apparently do not appear on the label or even its website, and a region (other than California) is not claimed either. Not declaring a blend seems a fairly odd thing to be doing, but I suppose if it gets people talking… It turns out that the wine inside is a pretty good if full throttle sort of affair. It has aromatics of plum, spice, blueberry, prunes and mostly currants. The aromatics carry through to flavour the balanced and richly flavoured palate. A very concentrated wine, it frankly shows pretty well.